He’s back! Control Warrior is making a comeback early in the new expansion, with the removal tools of the class being the main reason that it can withstand the aggression or combos that other classes are experimenting with. 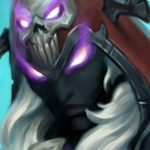 Warrior excels in slowing things down and outlasting his opponents, while gaining big amounts of armor to counter any damage they deal to him, so it’s only logical that the new, fatigue-focused legendary Archivist Elysiana found her first home, rather quickly, in the defensive-minded Warrior class. Right now there are a lot of lists running around, using either dragons, mechs, bombs or even combinations of those, all the while using warrior staples like Execute and Brawl to keep the enemy board in check and hamper their plans to develop any significant threats. 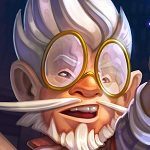 Although most of the lists have had decent amounts of success in the first couple of days, we’re gonna be looking at a dragon-focused control list in this guide. Well, because Winter is Coming, of course! But in all seriousness, dragons are the most proactive of the available ways to build a control deck. Combining the tribe’s ability to be proactive on the board with the reactive nature of the class’s spells, results in a really well-rounded list that can have good matchups across the board, while feeling fun to play at the same time! Omega Assembly: A powerful value-for-mana card, this will most likely be used after you reach turn 10, giving you 3 free mechs for just 1 mana! You can always use it earlier to discover a mech, especially if you’re running low on health against a more aggressive opponent and you need something to drop on the board. Firetree Witchdoctor: A decent 2-drop, this is your best turn-2 play most of the time, allowing you to discover a warrior spell, while developing a 2/2 on the board, so you can initiate the trade war. 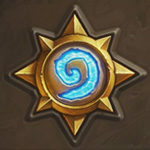 Dragon Roar: Although this list does not run any late-game dragons, Dragon Roar aims to fill that gap, since the chance for one of the big, legendary dragons is pretty high. And even if you don’t get one, the proactive nature of the tribe makes the spell worth it in the long run, almost no matter what it gives you. Baleful Banker: This card’s mission is just one: put another Archivist Elysiana (which is explained below) into your deck, after you use her. Smolderthorn Lancer: You know what’s better than having two Executes in the deck? Having 4 of them! Execute is such a powerful spell, that you want to run 2 understatted 3-drops, just so you can remove even more stuff from a safe distance. Scaleworm: This is going to be just a 4-mana removal most of the time. When it trades 2-for-1 it just shows how good the dragon package can be in a control deck. Supercollider: One of the best weapons in the game, if not the best. The weapon will probably trade 6-for-1 over 3 turns, which is insane value for a class that can gain armor consistently to mitigate the drawback of using health as a resource for trading. Zilliax: The swiss-army-knife of the Standard rotation, almost every deck wants to run him, even though he is just a 3/2 for 5 mana. He heals you for at least 3-6, while usually trading 2-for-1. Just pure crazy value. 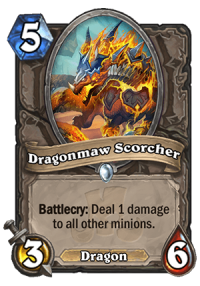 Dragonmaw Scorcher: A 3/6 for 5 is not anything crazy, but the card’s ability let’s you clear boards of small tokens or trigger Execute/Smolderthorn Lancer and can help activate cards that need you to be holding a dragon. Crowd Roaster: Another removal packed into a minion, dealing 7 damage to a minion, provided you are holding a dragon. Despite its low health of 4, the 7 attack is pretty significant, so do not underestimate the damage it can cause. 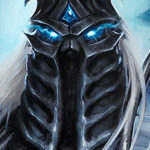 Dr. Boom, Mad Genius: The Knights of the Frozen Throne may have just rotated out, but this Death Knight is going to be a staple for most, if not every, warrior deck created in the Standard format until next year. The ability to have Rush for your mechs, along with the 5 rotating Hero Powers (Gain 7 Armor / Deal 3 damage / Discover a Mech / Spawn three 1/1 Mechs with Rush / Deal 1 damage to all enemy characters) is a game changer, that lets you get near-infinite value from just using your Hero Power every turn. Archivist Elysiana: The only new card that the deck runs, this is your safeguard and win condition against other slow decks. She let’s you discover 5 cards and replaces your current deck (even if it’s empty) with a new one that has 2 copies of every card you discovered. You want to get to the last card in your deck, then play her and use Baleful Banker on her, putting another copy in your newly-formed deck, for an extra deck of 21 cards. Talk about fatigue! Most of the aggro lists right now are token based, so having Warpath in your opening hand should be your number 1 priority, which means that you can usually clear a weak board on turn 4, before it becomes too dangerous to deal with. Naturally, Brawl is your next priority, with anything else being significantly less important, unless you already have one of those two spells in your starting hand. This is where you want value-generating cards early, since most of the early turns are going to be empty in these matchups. Dragon Roar can be used to enable Firetree Witchdoctor‘s ability, keeping your hand full of resources for the mid-to-late game. 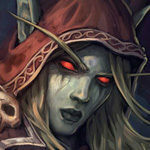 Another huge priority should be your Death Knight, Dr. Boom, Mad Genius, which you want to use on the first opportunity. You main focus is simple; survive. The longer the game drags on, the better the deck becomes. 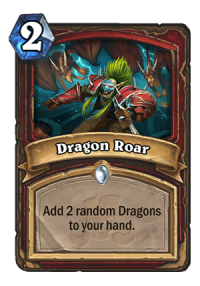 Although this is meant to be a control deck, the inclusion of the dragon package makes it more proactive than control warrior decks of the past, lettting you develop a board instead of just sitting back and have to answer from behind. Still, managing your resources is key, so be careful to recognize what your opponent is playing and plan accordingly. That means, don’t be afraid to take some extra damage, if it means getting more value out of your board clear on the following turn. The game plan here is pretty straightforward: survive! Look for your removals and AoE (whether spells or dragons) and be ready to clear the board as often as necessary. Supercollider can be a huge help in your quest to keep the board as empty as possible, letting you hold on to your big AoE for a little longer. 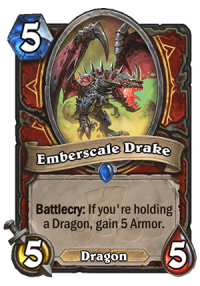 Emberscale Drake can help with mitigating some of the damage that the opponent is dealing to you, along with providing a 5/5 body to trade with. Against aggressive decks, once you reach the mid-to-late game stages your opponent should be out of resources, for the most part, so gaining a good amount of armor could just lock him out of the game. If you’re facing a token deck, things could still escalate, so don’t ease up and take any chances. Keep track of what your opponent has used and what he could still be holding onto, so you can have an idea of when you want to use your removal/AoE for more value. Warpath is probably your best card here, since it can deal with Druid’s Soul of the Forest and Shaman’s Soul of the Murloc. Although these matchups are a lot less straighforward than those against aggressive decks, they all end the same way: you want to exhaust the enemy’s resources, then use Archivist Elysiana + Baleful Banker after you enter fatigue for a total of 21 new cards. Omega Assembly, Dragon Roar and Firetree Witchdoctor can provide a good amount of value to keep the opponent busy, while you look to draw into your most valuable card, Dr. Boom, Mad Genius. A good thing to keep in mind is being able to discover Hecklebot through either Omega Assembly or Dr. Boom, Mad Genius to pull a minion from your opponent’s deck, since slow decks tend to play big, important Battlecries. Pulling any minions gets them one card close to fatigue, which is really good on its own, but since slow decks tend to play big, important minions, such as Vereesa Windrunner or Malygos, being able to remove them makes things much easier. Pulling something like Archivist Elysiana or Baleful Banker is usually just an auto-win, unless the opponent can deny one of them from you as well. Although the dragon package restricts the amount of replacements, you can opt for a lower-cost list that does not play the dragon package, but plays a lot more reactive than the list I explained above. This list likes to let the opponent make his move first, then using the plethora of answers it its disposal to react to the board state, while using cards like Hecklebot to remove an extra threat, pulled directly from the opponent’s deck, while at the same time putting a 3/8 taunt in the way to protect your hero’s health. With this list, your end-game goal is the same; get to fatigue and use Archivist Elysiana get a new deck of 10 cards, then use Youthful Brewmaster to return her to your hand (although you should use Baleful Banker if you can afford to craft one copy, since it adds another card to your deck and leaves the 7/7 body on the board), giving you the chance to play her another time. You can use Weapons Project either as a way to start removing threats from the board or to deny an important weapon for the enemy, such as Wrenchcalibur or Spectral Cutlass. This list also contains Acolyte of Pain as an extra card-draw engine, along with 2 copies of Ironbeak Owl (but you can replace them with Spellbreakers if you think you need the body more). The last notable difference is the inclusion of Dyn-o-matic as an extra board clear for small tokens. I’m guessing he’s too slow compared to everything else in this deck. 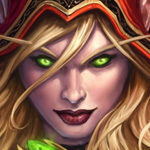 Pity; it feels sooo good when you get off a good Voone and copy something like Ysera or Emeriss. I had an epic game against a burgle rogue where I pulled a Nozari off a roar and then did Voone -> Barista -> Second Voone. I was a few cards into fatigue while he had a deck full of burn and 1 mana espionage cards, but he still just couldn’t handle me healing to full whenever I needed to. He finally exhausted his hand, lost all board presence, and I end up just beating him down. Personally I prefer rush package over dragons. Tech choices are also not that great tbh. Hacklebot is almost useless in current meta and banker/brewmaster are super bad. I don’t understand why anyone thinks they’re good. They improve ONE matchup and make ALL other matchups worse. Also the biggest problem right now are token druids so Baron Geddon could be a solid addition. That’s why I had much better results with the dragon packege over mechs, since that way I can have threats on the board and remove stuff more easily. The rush package felt just a bit weaker than dragons to me, but better than mechs nonetheless. I agree the mechs are probably the worst right now because of huge amount of aggro decks on ladder. I think this variant of the control Warrior is weaker than the “original” one (without dragons and with bombs). What do you think? Very good article. This deck is very interesting to play, but not strong enough and very different from the other control warrior. In my opinion the second is better in terms of win rates. The dragon sinergy is very fun to play but in the meta it faces stronger decks at the moment. Thanks! It is very ufn to play and I had a good winrate during the first 3 days (about 65%), but games tend to take too long you can get screwed by dead draws here and there, but it did surprisingly well against the two token decks (druid and murloc shaman). Good catch, I’ll get it fixed asap. Thanks!